This report gives an overview of the situation in Laos, starting with an overview of the situation today, followed by a look at some of the international support to the industry, including the Asian Development Bank’s role in promoting plantation development in Laos. The final section profiles some of the companies that are active in the plantation sector. Laos has a very low per capita consumption of paper and board products, reported to be 0.6 kilogrammes (kg) in 1998 (PPI 1999). Compared to Thailand, there is a much smaller area of fast-growing tree plantations. However, in recent years there has been a significant amount of interest, particularly from Thai companies, in expanding the area of tree plantations in Laos to serve the pulp and paper industry. Laos’ only paper mill, the Asia Paper Factory is 10 kilometres outside Vientiane. Water from the mill is channeled to nearby rice paddies. In February 2001, the Lao news paper Patheth Lao reported that local residents had complained about the factory emitting dirty water and a strong smell. Bounmy Somnsad, a consultant from the factory dismissed local people’s concerns and said, “The water doesn’t contain any chemicals, only flour and lime, which is good for rice production, it does not effect the health of residents” (KPL 2001b). According to the FAO, the first eucalyptus and other fast-growing tree species in Laos were planted in the early 1960s. A survey carried out by the Ministry of Agriculture and Forestry in 1993 states that 1,900 hectares of plantations were established before 1976. By 1993 almost 10,000 hectares of plantations had been planted, although the Ministry estimated the survival rate to be as little as 46 per cent (FAO www 2). The statistics for plantation area in Laos are inconsistent, and the exact area of plantations is difficult to establish. For example, in 2000, the FAO estimated that there was a total of 53,900 hectares of plantations in Laos. This total included 8,100 hectares of eucalyptus plantations, 5,400 hectares of acacia and 13,500 hectares of teak (FAO www 2). The Asian Development Bank, however, estimated in 1998 that 33,800 hectares of plantations had been established since 1975. The ADB’s consultants point out that survival rate is low, and they estimate the actual plantation area to be between 12,000 and 15,000 hectares (Thongleua and Castren 1998). There have been few (if any) open protests by farmers and villagers in Laos for two main reasons. First, the development of large-scale industrial plantations is still in its infancy and the impacts are therefore so far local and, compared to Thailand, still quite small. Second, Laos is a one-party state, and the Lao People’s Revolutionary Party does not tolerate dissent. Amnesty International’s 2001 report on Laos states, “Freedom of expression, association and religion continued to be severely restricted” (AI 2001). There is no free press in Laos, there is no right to change the government, no right to freedom of speech, religion or movement. Under these circumstances, protest is far more difficult than in Thailand. However, villagers have complained to local officials about the impact of plantations and in Champasak province villagers have erected signs indicating communal grazing land and forest in defiance of the company attempting to enclose the land as tree plantations. Support for the development of fast-growing tree plantations in Laos comes from a series of sources. For example, Gary Oughton of the Vientiane-based consulting firm Ecolaos stated in November 2000, “We need to get trees back into this region of Southeast Asia, by any means possible.” His consulting firm was involved in the Resettlement Action Plan for the proposed Nam Theun 2 hydropower dam. When asked about the problems of livelihoods being destroyed by the project, he recommended “joint forest management between villagers and a high tech company like Poyry.” Inevitably, this would include industrial plantations. Laos is heavily dependent on foreign investment and aid. Around 80 per cent of all “development” projects are paid for from overseas (Brandmaier 2001). Since 1988, 37 countries have invested more than US$5.7 billion in over 840 projects in Laos. Thailand has invested more than any other country, with around US$2.9 billion in 262 projects. The US ranks second with US$1.4 billion invested and South Korea third with US$636 million (KPL 2000). There has been a series of overseas projects aimed at promoting plantation development in Laos. In 1967, Australia and Laos started discussion on the Lao-Australian Reforestation Project (Bounphom 1993: 6). According to a report produced for the Asian Development Bank, most of the tree planting carried out under the Lao-Australian Reforestation Project “failed bacause [sic] of a combination of one or more factors such as poor maintenance, cattle or fire damage” (Saravanamuttu Muttiah no date: 7). The Asian Development Bank has funded projects in the forestry sector in Laos since 1978. The focus was on industrial forestry and the first loan of US$8 million went on modernising a plywood mill and on associated forestry operations (ADB 1989). An ADB-funded “Forestry Development Project” started in 1979. One of the consultants on this project, Saravanamuttu Muttiah, reveals the bias towards industrial forestry and species including eucalyptus inherent in many such projects. The project was supposed to include collecting seed from forests. However, the consultant reported that the it was simply too much hard work to get into the forests to collect seed: “Because of various difficulties encountered in getting into remote forest areas for seed collection, the possibility of establishing chiefly clonal seed orchards of premier species was examined but it requires considerable initial research support” (Saravanamuttu Muttiah no date: 5). It is far easier for foresters to spend their time in the laboratory or seedling nursery working with tree species they know about, such as eucalyptus, than to go out in the forest collecting seeds of species about which they know far less than the local communities. Just in case the point was lost on the reader, the consultant added, “Eucalypts have a difinite [sic] place for community forestry in Laos” (Saravanamuttu Muttiah no date: 7). A Tropical Forestry Action Plan (TFAP) carried out with funding from UNDP, FAO, ADB, World Bank and SIDA (ADB 1989: 4) was approved by the Lao government in December 1993 (Anon 1991: 13). Among the recommendations made under the TFAP was a logging rate of 280,000 cubic metres/year and the introduction of industrial tree plantations (Anon 1992: 3). “Commercially valuable” forest was to be logged – an area of between 750,000 and 1 million hectares according to the TFAP consultants. 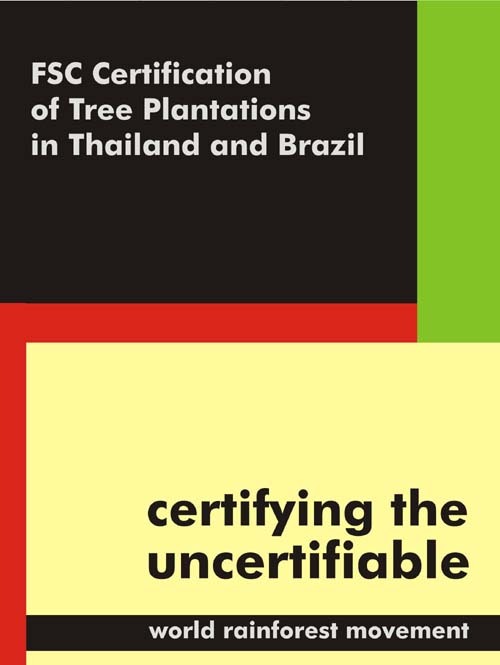 TFAP’s second priority was the introduction of industrial tree plantations on logged over and degraded forest land to feed the pulp and paper industry in Thailand and other countries in Southeast Asia (Anon 1992: 6). In 1992, a Lao-ACIAR project established acacia and eucalyptus trail plantations. The objectives, according to Bounphom Mounda of the Department of Forestry, included setting up trials and seed orchards “of species with most potential for large scale commercial plantations” (Bounphom 1993: 7). The project was titled “Improving and Sustaining Productivity of Eucalyptus in South East Asia” and in Laos it involved the introduction to Laos of fast-growing trees from species and provenance trials in Thailand (Pinyopusarerk and Chandler 1993: 2). The research fits well with the ambitions of Thai companies to expand their operations to Laos. 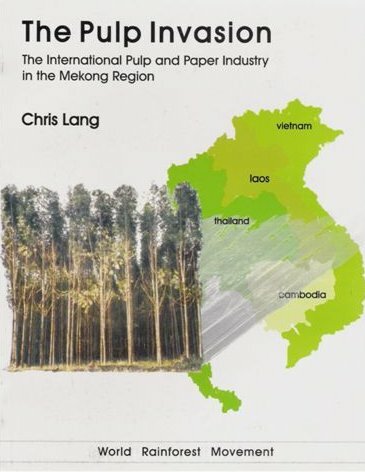 Soon after the TFAP for Laos was completed, the Asian Development Bank funded a study on establishing plantations of fast-growing trees for production of industrial wood for export, as a response to recommendations in the TFAP, according to Bounphom Mounda of the Department of Forestry (Bounphom 1993: 9). Since 1994, the ADB has been running its “Industrial Tree Plantation Project” in Laos, covering three provinces and aiming to establish 9,600 hectares of commercial fast-growing tree plantations. The project is described in more detail in the ADB section below. In 1993, the Department of Forestry was reorganised and a Plantations Division was established. This aimed to “(i) formulate policies and strategies for the development of plantation forestry; (ii) carry out, in cooperation with the Forestry Inventory Division and local authorities, necessary land use surveys and allocate suitable land for plantation purposes; (iii) encourage private investment in tree plantations; (iv) improve technical base and extension services for the development of plantation forestry; and (v) coordinate with the relevant authorities at central and local levels for the development of plantation forestry and establishment of nurseries” (ADB 1994: 1). In 1993, the UN Food and Agriculture Organisation (FAO) organised a “Regional Expert Consultation on Eucalyptus” in Bangkok. In his presentation, Bounphom Mounda of the Forest Plantation Division at the Department of Forestry explained that forests in Laos could be rehabilitated through natural regeneration or through the establishment of plantations. Plantations, according to Bounphom, are “planned for barren (deforested) land. It is estimated that the country has approximately more than 10 million hectares of this land resulting from shifting cultivation practices” (Bounphom 1993: 5-6). Bounphom pointed out that “There has been no in-depth study on Eucalyptus effects in the country.” Yet he confidently asserted that large scale commercial plantations would create “job opportunities for the rural subsistence population and contribute to the socio-economic development of the country” (Bounphom 1993: 7). Between December 1993 and June 1996, FAO and Japan’s International Cooperation Agency (JICA) funded the FAO Regional Project for Strengthening Re-Afforestation Programmes in Asia (STRAP). The project worked in Bhutan, Burma, Vietnam and Laos (FAO 1995: 5). The project aimed to develop “sound conservation, management and development of man-made forests and trees on a sustainable basis in order to serve the protective functions in terms of desirable goods and service; therefore, to meet human and environmental needs” (Cameron et al 1995: 17). In 1991, ISO/Swedforest listed 47 projects funded by multilateral and bilateral donors to the forestry and related sectors in Laos. Multilateral donors included: World Bank, ADB, UNDP, FAO, UNESCO, EEC, and the Mekong Committee. Bilateral donors included Australia, USSR, Vietnam, Norway, Netherlands, Germany, Japan, UK, Thailand, France and USA. In addition NGOs (Norwegian Church Aid, CIDSE, Save the Children Australia, Bahai International Community, CAA, Quaker Service Laos and JVC) funded 15 projects (ISO/Swedforest 1991: 11-14). In February 1995, the Department of Forestry hosted an aid agency conference which agreed a total aid-budget of US$40 million to the forestry sector over the next three to five years (Cameron et al 1995: 25). One of the reasons for the dramatic reduction in the number of forestry sector projects in Laos seems to be the demise of the GEF, Finnida and World Bank funded Forest Management and Conservation Programme (FOMACOP). The project was initially planned to run for 10-15 years, but the Government of Laos halted the programme after the first five-year phase. The total project budget was US$20.3 million, and the consultants were Jaakko Poyry Consulting, CARE International and Vientiane-based Burapha Consultants. The project consisted of two components: a “village forestry” component under which villagers would log and earn money from “village forest management areas”; and a biodiversity conservation component. Given the extent of illegal logging in Laos it is perhaps not surprising that the project ran into trouble [See for example, Anon (2000)]. In February 2000, a World Bank Mission reported that the reforms in Lao government forest policy anticipated under the project had not been implemented: “Accompanying the investment program, the project design anticipated significant reforms in the policy framework. These included preparation of sector legislation, deregulation of market controls on wood to ensure export parity pricing of timber and issuance of implementing regulations, satisfactory to the Bank, for forest management. Compliance with these measures has been slow and partial” (Rajesh 2000). Before the Fomacop project collapsed, preliminary studies were made into assessing the “village forestry” part of the project according to Forest Stewardship Council standards. Among the rumours regarding the project’s sudden end was one that Lao government officials were worried that the bribes they receive from the logging industry would disappear under an externally audited system such as FSC. Partly as a result of the failure of the Fomacop project, the World Bank, Finnida and Sida carried out a Production Forest Review for Laos, which was completed in 2001. In December 1993, the Asian Development Bank (ADB) agreed a US$11.2 million loan to the Government of Laos for an Industrial Tree Plantation Project. The project started in July 1994 and the first phase is planned to run until 2003. Under the project 9,600 hectares of commercial fast-growing tree plantations are proposed, 7,000 hectares of which will be established by private companies. The project covers the provinces Vientiane, Bolikamxai and Savannakhet. Two technical assistance grants were associated with the loan: Institutional Support for Agricultural Promotion Bank (APB) which was completed in January 1997; and Institutional Support for Department of Forestry (DOF) which is due to be completed on 30 September 2001 (ADB no date). (iii) establish a policy framework for the development of sustainable industrial tree plantations” (ADB no date). Jaakko Poyry Consulting AB (Sweden) and Burapha Development Consultants (see section on Burapha, below) shared the US$1.5 million contract for consulting services on the project (Development Today 1994: 4). 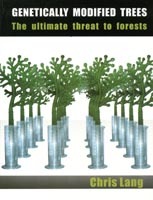 A 1995 Poyry report produced for the project states that the aim of the project is to “develop a model to implement the policy of growing high yielding tree plantations on unstocked forest land and eroded land by the private sector.” The same report defines “unstocked forest” as “previously forested areas in which the crown density has been reduced to less than 20% because of logging or heavy disturbance” and “abandoned ‘hai’ [swidden fields] and disturbed stands with a crown density of less than 20%” (Jaakko Poyry 1995b: 6). According to a BGA representative, as well as BGA the following companies have received funding under the ADB project: Long Ngum, Furniture km 5, BGA Luang Kian, Burapha, Hum Pang. The ADB loan to the Lao government is to be repaid within 40 years. For the first 10 years the loan is interest-free, after which the interest rate is 1 per cent. The government in turn loans the money to the Agriculture Promotion Bank, and the Bank repays over a 15 year period. The first six years is interest free, followed by a 2 per cent interest rate. The Agriculture Promotion Bank subsequently lends the money to companies or to farmers. Companies have 12 years to repay with 6 years interest-free, followed by a 7 per cent interest rate. Companies must provide 30 per cent of the money required themselves, before the loan will be approved. Loans to farmers have to be repaid within eight years. Farmers get no interest-free period. For the first six years they have to pay 60 per cent of 7 per cent annual interest, and in the seventh and eight years the entire loan plus interest must be repaid (Xeme 1995: 79). Farmers are at the end of the line: they pay more interest, have to repay the loan sooner, and if they are growing trees on their land instead of food crops, are at risk of being significantly worse off as a result of the project. By September 2000, the ADB claimed that 7,842 hectares of tree plantations had been established. The ADB reports that “Marketing options for plantation wood in Lao PDR include export of wood chip to Japan, and establishment of a large processing factory/pulp mill in Lao PDR” (ADB no date). The wood chip exports to Japan presumably refers to BGA’s proposed wood chip mill (see below). There are still no large pulp mills in Laos. In 1999, an Australian forestry consulting firm, Fortech, produced a report entitled “Current Constraints Affecting State and Private Investments in Industrial Tree Plantations in the Lao PDR”, for the ADB and the Lao Government. The Executive Summary of the report claims that plantation development in Laos “provides opportunities to generate economic growth and development” and argues that “at least one large scale plantation project” should be approved by the end of January 1999. The alternative, according to the consultants, is that “international investors will decide not to proceed in Lao PDR” (Fortech 1999: iv). The report makes several recommendations that the Lao government should implement in order to subsidise the plantation industry in Laos. 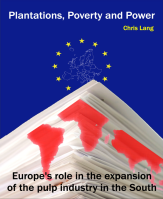 Such measures include (among others): rewriting the Plantation Regulations under the Forestry Law; appointing a “plantation investment coordinator”; preparing guidelines for plantation assessment proposals and a step-by-step guide for investors; collecting and publishing market information on domestic and international forest product markets; and building new roads in “key plantation development regions” (Fortech 1999: vii-ix). “The document you have requested is an official document. Nevertheless, we had sent you a copy of the executive summary. Since you still wanted the full document, we had sought the concurrence of the Lao PDR Government to release this to you. We have not so far received a response from them” (Sahni 2001). That was six months ago. Since then I have heard nothing more on the subject from the ADB. Ms Sahni also referred me to the ADB’s policy on Confidentiality and Disclosure of Information, which is available on the ADB’s web-site. The ADB’s policy on Confidentiality and Disclosure of Information took effect on 1 January 1995. According to the Bank, this policy was “prompted by the realization that the Bank should provide the greatest possible degree of transparency and accountability” (ADB www 1). The Bank states that it “emphasizes a presumption in favor of disclosure where disclosure would not materially harm the interests of the Bank, its members, borrowers, and private sector clients” (ADB www 1). 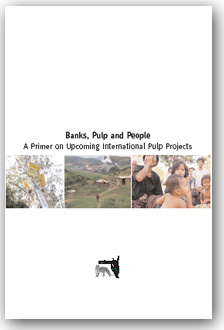 The Bank claims several objectives for the policy, including: encouraging debate; ensuring local participation in decision making; broadening understanding of the Bank’s role; facilitating coordination “with others interested in the common goal of development of the region”; and increasing the Bank’s accountability (ADB www 1). Clearly in the case of industrial scale plantations, and the constraints affecting future development of plantations, the ADB is not interested in achieving any of its stated aims regarding local participation in decision making or in encouraging debate. The Asian Development Bank has played an important role in promoting the reconstruction of roads in Laos. Often these roads needed to be reconstructed because of the damage caused by logging trucks, and the timber and plantation industries are likely to be among the greatest beneficiaries of the new roads, as they can export their goods more easily. On 26 November 1999, the transport ministers of Thailand, Laos and Vietnam signed an agreement to ease the flow of people and goods between the three countries. The agreement, signed by ministers Suthep Thaugsuban of Thailand, Phao Bounnaphol of Lao PDR and Le Ngoc Hoan of Viet Nam, aims to reduce bureaucracy, and to simplify legislation, regulations and procedures relating to cross-border transport. The ADB helped lay the groundwork for the agreement through a series of studies and workshops. “[T]he framework is essential – it underpins the joint road projects which are either under way or being planned to link the three countries” according to Thomas Jones, a senior project economist with the Asian Development Bank (ADB 1999). Route 8 is the shortest route from the Lao capital, Vientiane to the sea. Route 8 is a crucial link between Laos and the Vietnamese port Cua Lo for the BGA Plantation project (see BGA section below). The road also runs close to the proposed Nam Theun 2 hydropower dam and recently completed ADB-funded Theun Hinboun dam, thus facilitating construction of these dams (Bangkok Post 25 June 1996). Since 1993, the military-run logging company, BPKP, has accelerated the logging of the Nakai Plateau to clear the reservoir area for the proposed Nam Theun 2 dam. Logs are exported across the Mekong to Thailand and by road to the port of Cua Lo near Vinh in Vietnam, where the timber is exported to Japan, Korea and Hong Kong (Ryder 1996). The rebuilding of Route 8 was funded with financial assistance from the Japanese government (Lao Embassy 2000). In March 2001, Deputy Prime Minister Chavalit Yongchaiyudh approved plans for a second bridge over the Mekong River between Thailand and Laos. The US$45 million bridge will link Mukdahan in Thailand with Savannakhet in Laos. The decision to build the bridge was rushed through by the Communications Ministry before a discussion in the Thai Cabinet, which would usually take place before decisions to go ahead with mega-projects. The Japan Bank of International Cooperation’s (JBIC) agreement to fund the project expired at the end of the month, and Prime Minister Thaksin Shinawatra implemented measures to allow ministers and committees to approve specific projects (Piyanart 2001). The following month, Thai Foreign Minister Surakiart Sathirathai announced that Vietnam would be invited to discuss a “common master plan” for the bridge. The bridge forms part of the ADB-backed East-West Corridor plan (Associated Press 2001). The Lao government did not always support the bridge project. In 1999, the Thai newspaper Bangkok Phuchatkan reported that Lao officials did “not seem to be particularly pleased with this project, terming the route as only a facility for transporting transit goods between Thailand and Vietnam while Laos itself will have to shoulder the burden of containing contraband smuggling and the entry of illegal immigrants” (Bangkok Phuchatkan 13 September 1999). Bounna Hansingsai, head of the trade service of Khammouane Province in Laos said, “Even though this transport route passes through many provinces in Laos, the countries that stand to gain the most from such cooperation are Thailand and Vietnam. . . . Route 8 is a main transport route for transit goods between Thailand and Vietnam” (Bangkok Phuchatkan 13 September 1999). Eduardo Galeano in his book “The Open Veins of Latin America” describes how the infrastructure of Latin America was built to extract resources from the continent via ports and into the colonial economy (Monbiot 2001). In a strange echo of Galeano, the Laotian transport minister, Pao Bunnapol, told the Bangkok Post that “the bridge would provide a vital economic artery for the region as Laos was improving its highway connecting with the port city in Vietnam” (Bangkok Post 19 March 2001). The Japanese International Cooperation Agency (JICA) is funding and carrying out the Forestry Conservation and Afforestation Project (FORCAP) in an area adjacent to the reservoir of the Nam Ngum dam. The dam was funded with a grant from the Japanese government. One of the aims of the project is presumably to attempt to prevent siltation in the reservoir by planting trees. The ADB also has an Integrated River Basin Planning project in the Nam Ngum catchment area. The project aims to plant a range of trees, including Acacia mangium, Afzellia xylocarpa and Pterocarpus macrocarpus. Although the plantations are small-scale, the project is looking for markets for the timber for house building or furniture within Laos, or possibly for export to Thailand or Malaysia. One of the aims of the project is to provide income generating projects for villagers as an alternative to shifting cultivation. One such project involves small-scale village-based paper making from the bark of the branches of the paper mulberry tree (Broussonetia Papyrifera). The Swedish government has been involved in the forestry sector in Laos since the late 1970s. For the first ten years the Swedish International Development Agency (SIDA) supported logging operations in Laos, mainly through aid to two state forest enterprises: number 1 in Bolikhamxai and number 3 in Bolikhamxai-Vientiane province. According to Carl Mossberg of SCC Natura, the consultants currently carrying out the Lao-Swedish forestry programme, projects involved “establishment of saw mills, operations of saw mills, together with forestry operations and purchase of equipment, training of people, machine operators, various types of forestry staff and so on, but very much linked to the forestry operations, logging, saw mills” (Mossberg 2000). In 1989, the ADB stated that SIDA “has been a major source of assistance to the forestry sector . . . with emphasis on forest management and wood harvesting” (ADB 1989: 4). During the late 1980s the focus of Sida’s aid shifted from logging operations to forest inventory, silviculture, natural forest management, plantations and more support to a research station at Nam Souang. The Nam Souang Silviculture Research Centre (NSSRC) was established in 1981 under the supervision of State Forest Enterprise no. 3 (Douangphet 1995: 27). In 1988-1990, SIDA funded species trials at the Nam Souang Centre during phase two of the Lao-Swedish forest cooperation project. The trials included eucalyptus trees and according to Bounphom Mounda of the Department of Forestry, aimed “to find out the more promising provenances for the industrial tree plantation programme in the future” (Bounphom 1993: 6). The research centre at Nam Souang covers 600 hectares, and much of its research work with exotic species has focussed on acacia. Even with this small area of land taken up by plantations, the centre ran into conflict with local communities. Douangphet Rattanasouk of the Nam Souang Centre points out that “in the past, NSSRC’s area was the main area where the surrounding villagers deliberately delivered their buffaloes and cows and used it for grazing. After establishment of the NSSRC, it was difficult to protect trial plantations from the people and cattle. Especially in the dry season, the fire hazard was quite high and fires damaged saplings and fences” (Douangphet 1995: 29). SIDA also funded Lao forestry students to study at the Dehra Dun Forestry School, established by the British Colonial regime in India in 1879. Mossberg explains that during the 1990s, SIDA’s involvement in Laos involved, “a continued shift away from forest operations to institution building, to work away from the centre, provinces and districts, to work with more broad issues related to better use of land, sustainable land use and village people and their ways of using land for survival and improved life” (Mossberg 2000). Part of Sida’s most recent work is a joint forest management project, involving villagers in the management of natural forest, and attempting to ensure that villagers receive some of the income generated by logging. This project ran into difficulties, partly because the Lao government was reluctant to allow communities to keep the revenue gained from logging. Sida planned to complete a review of its work in Laos in 2001. This will take the form of a series of reports, looking at for example participatory land management, gender issues and so on. When asked whether Sida provides any aid for plantation development, Mossberg replied, “We are not focusing very much on plantations. If so, it is more plantation of trees as part of the environmental protection, for example in sloping lands farming systems with various types of combinations of trees and agricultural crops to prevent soil erosion and keep the fertility of the soil and so on. But no part is really plantations” (Mossberg 2000). BGA Lao Plantation Forestry Ltd (BGA) aims to establish between 44,000 and 53,000 hectares of fast-growing tree plantations, mainly of eucalyptus, in Bolikhamxai and Khammouane provinces. BGA was established as a US$30 million joint venture between General Finance (a Thai finance company); GF-Brierley, a 50-50 joint venture between General Finance and Brierley Investments Limited (founded in New Zealand, but now registered in Bermuda with its head office in Singapore) and Asia Tech (a Thai plantation company). When the BGA project was set up, GF-Brierley held a 22 per cent share in Asia Tech. (See sections on Asia Tech and Brierley, below.) The Government of Laos is a 15 per cent shareholder in BGA (Lao Embassy 1997). With the onset of the Thai financial crisis in mid-1997, Asia Tech and General Finance pulled out of the project. General Finance was one of 56 finance companies closed in 1997 by the Thai government because of mounting bad loans. In August 1998, Thailand’s central bank filed criminal charges against six executives of General Finance. The six were charged with extending US$8 million in loans without proper valuation of the collateral. However, Narongchai Akrasanee, the Chairman and Chief Executive Officer of General Finance said in September 2001, “The case has not reached the court. The case against me has been dropped by the Attorney General Office” (Narongchai 2001). Brierley and the Lao Government have thus become the only partners in BGA. BGA began surveying villages and land in 1993 and Jaakko Poyry, the forestry consultancy company, carried out the feasibility study for the BGA project. BGA signed a Memorandum of Understanding with the Lao government in 1997 (Lao Embassy 1997). The government formally approved the BGA project in 1999. The company has a 50 year land lease in Bolikhamxai and Khammouane provinces. The main species to be planted is Eucalyptus camaldulensis, with seedlings provided by Siam Forestry, a Thai company. The company plans to build a wood chipping mill, and to export the wood chips to Japan, via the Vietnamese port of Vinh. In November 2000, BGA was currently surveying an area in Hinboun in order to build a wood chip mill. The wood chips from the mill will be exported via Route 8 to the deep sea port at Cua Lo, near Vinh in Vietnam and from there to Japan (BGA no date). BGA has received direct or indirect subsidies from the governments of Laos and Japan as well as from the ADB’s Industrial Tree Plantation project (see section on ADB above, for background information on this project). Without these subsidies the project would probably not be commercially viable. As it is the subsidies are accelerating deforestation. When BGA completes its wood chip factory, electricity will come from the nearby 210 MW Theun Hinboun dam. Funded to the tune of US$60 million by the Asian Development Bank, the dam was completed in 1998. Since the dam was completed it has caused massive problems for people living nearby, who have seen the fisheries in the river destroyed along with their livelihoods. The Lao government handed over the land for the plantation rent-free in return for a 5 per cent share in the project. The government then bought a further 10 per cent share in the scheme. Under Lao Forestry Law plantations are exempt from land tax, and BGA pays only 5 per cent income tax on its operations. Throughout the country, Lao government officials are undertaking a land allocation programme. In the areas where BGA plans to establish its plantations, the company used aerial photographs, satellite images, maps and GPS systems to locate the best land for plantations. The government has in effect allowed BGA to allocate its own plantation land. According to the company, between 39,000 to 48,000 hectares of the land leased to BGA is “Shifting Cultivation / grazing land / Degraded forest” (BGA no date). In other words, this is land that is currently in use by villagers. Land lease granted” (BGA no date). By November 2000, BGA had only established around 650 hectares of plantations, but villagers were already seeing their swiddens and forests converted to monoculture eucalyptus plantations. Villagers are employed on a day by day basis as labourers for 10,000 kip/day. Villagers in Ban Lao Luang report that the money they have earned from working for BGA is welcome, and they no longer have to travel to Thailand to find paid work. At present, the company needs labour to clear land for plantations but as the area of established plantations grows and as less land is cleared for new plantations the opportunities for employment will decrease. At the same time as employment decreases, villagers will see their livelihoods further eroded by the enclosure of their common land, swiddens, grazing lands and forests. In Ban Lao Kha and Ban Lao Luang, BGA has cleared areas of dense natural forest in order to plant eucalyptus trees. Villagers in Ban Lao Luang report that they have to walk further to collect mushrooms and other forest products, and wildlife such as mice and birds have moved to remaining forest areas away from the plantations. BGA sprays the regenerating forest between the rows of eucalyptus trees three times a year with the herbicide glyphosate, making sure that the plantations remain monocultures. Although no longer part of the BGA project, the Chairman and Chief Executive Officer of General Finance, Narongchai Akrasanee, apparently played a key role in ensuring the infrastructure was in place for BGA’s investment. As well as being director of several other Thai and regional companies, Narongchai has been advisor to several Thai Prime Ministers and in 1997 he was the Thai commerce minister. In March 1997, he took part in a three-day official visit to Vietnam with the Thai foreign minister, Prachuab Chiyasarn. According to a report in the Bangkok Post, the Thais “expressed great interest in Routes 8 and 9” (Bangkok Post 14 March 1997). Route 8 links Thailand’s Nakhon Phanom province with Laos’s Khammouane and Vietnam’s port city of Vinh, and its rehabilitation was crucial to for exporting wood chips from the BGA project. Asia Tech is today “almost inactive” according to Narongchai, although he added, “it set up another company to produce and sell MDF boards” (Narongchai 2001). In addition to the BGA project, Asia Tech has been involved in another plantation project in Laos, in Champasak province in the south of the country. This project ran into difficulties from the start of tree planting, and is now largely abandoned. On 5 November 1990, Asia Tech wrote to the Lao government to propose a project on 16,000 hectares of land in Champasak province. A year later, Khamthai Sipandone (then-Prime Minister and president of the foreign investment committee) signed an investment permission document for an investment period of 30 years. The Lao government took a 5 per cent share of the project. Asia Tech started trial plantations with eucalyptus in 1992, and with Acacia mangium in 1995. According to local sources, almost all of these trees died. Prasan Singhonsai of Asia Tech, however, blames the Lao government for the problems with these trials. In 1995, in a presentation at an FAO conference in Vientiane, he said, “our company has been adversely affected by a lack of consistent technical advice: in 1992, we invested in establishing 200 ha of eucalyptus plantations. Then we were obliged to abandon these plantations due to the confusion of technical units concerned” (Prasan 1995: 75). At the same time as the eucalyptus and acacia trials, Asia Tech experimented with farming milk cows. These fared little better than the trees: many died, and the company sold the rest. Asia Tech ran into further difficulties when District level officials surveyed the land area proposed for the project and could find only 12,404 hectares of available land for Asia Tech. “To avoid delay” the Minister of Agriculture and Forestry, Pimpa Taepkhampuan, handed over this area to Asia Tech and requested the Champasak governor to find the remaining area. In March 1995, Forenco, a New Zealand forestry consulting company, produced a pre-feasibility report for Asia Tech, based on a two-day visit to the area by Peter Olsen of Forenco. Most of the 77-page study considers the financial implications of different planting regimes. Social, community and cultural issues occupied the consultants for half a page of the report (Bannan 1995: 11). Among the items that the consultants recommended for “in depth investigations” before the project commenced was “social and community issues in the project area such a dislocation and relocation of local inhabitants and alternative livelihood provision” (Bannan 1995: 1). Although the consultants stress that their report is not a feasibility report, no further studies were carried out before Asia Tech started commercial planting of trees in 1995. One of the most serious problems caused by the project is that local people have lost access to their land, both for cattle grazing and growing crops. Prasan Singhonsai of Asia Tech stated in 1995, “The land conflict between the company and villagers living inside the company’s area still exists because the allocated land contained 19 villages” (Prasan 1995: 75). During 1996-1997, Asia Tech planted pine trees, clearing areas of secondary forest and fencing off land, thus preventing local people from grazing cattle. Villagers received no direct benefits from the company. Asia Tech paid some village headmen to help them identify which land was registered to the company, thus causing resentment and conflict among villagers (Watershed 1996a: 15). During this period Asia Tech cleared forest to establish an area of 900 hectares of pine plantation. After government officials visited Champasak and inspected this 900 hectare plot in 1997, the Ministry of Agriculture and Forestry removed more than 4,000 hectares from Asia Tech’s agreed land area leaving Asia Tech with around 8,200 hectares. Villagers initially hoped to regain their land, but District officials simply handed over land reclaimed from Asia Tech to other companies – to grow coffee, for example. Asia Tech’s planted areas are today largely neglected. Asia Tech sprayed the plantations with herbicide in 1998, but since then has done no maintenance of its plantations. In 2000, Asia Tech ploughed around two hectares of land for maize, and carried out sugar cane trials on a 15 hectare plot. The Burapha Group was established in 1990 (Sonesack 1995: 70) and is structured perfectly to gain the most from the subsidies available for plantation development in Laos. The company is a subsidiary of the Swedish forest industry company Silvi Nova AB, and in Laos consists of three companies: BAFCO (Burapha Agroforestry Co. Ltd.); NAFCO (Nabong Farm Co. Ltd.); and BDC (Burapha Development Consultants Co. Ltd.). The first two companies are commercial ventures – BAFCO produces and exports wood based products from its own plantations, and NAFCO is a dairy farm which supplies Vientiane with dairy products, chicken and eggs. BDC however plays a very different role, being the largest consulting firm in Laos, providing advice on financial analysis, engineering, environment, forestry, agriculture and livestock and rural development. In May 1995, the ADB contracted Burapha Development Consultants, along with CIRAD-Foret (of France) and MIDAS Agronomics (of Thailand) to act as consultants on the ADB’s Industrial Tree Plantation project (see ADB section, above). In the five year contract period the consultants produced project documents including an Inception Report, quarterly progress reports, plantation management papers, and environmental technical reports (ADB no date). In 1995 Jaakko Poyry and Burapha produced a report for the ADB commenting on the Lao Government’s law on plantations, Directive 186. Among the consultant’s recommendations were that export taxes and transport taxes should be reduced (Jaakko Poyry 1995a: i-ii). When the Lao Government gets advice from forestry consultants through a project funded by the Asian Development Bank, it may believe that it is getting the best advice that money can buy. In Burapha’s case however there is a clear conflict of interest. In its consultancy work for the ADB, Burapha Development Consultants provides advice recommending more subsidies to produce cheap timber which Burapha Agroforestry can buy and export. According to a representative of BGA, Burapha has even received funding through the ADB project. No wonder that a Burapha representative in Vientiane said about the ADB project, “The project for Burapha has been a success, I’m not sure about the project as a whole”. On 7th November 2000 Burapha formally opened its US$2.9 million laminated-wood processing factory at Nabong Farm, 30 kilometres from Vientiane. The factory will initially sell timber pallets to IKEA, the Swedish retailing giant, and in future will produce furniture under the trademark Vicwood. Financing came from a series of loans – US$550,000 from IKEA, US$800,000 from the International Finance Corporation (IFC), the private sector arm of the World Bank, and US$300,000 from Swedfund, the Swedish IFC counterpart (IFC www 1). Burapha’s project was supported by an institution called the Mekong Project Development Facility (MPDF). Created in 1997, MPDF helps companies in Vietnam, Cambodia and Laos to raise financing and helps them prepare business plans. MPDF is managed by the International Finance Corporation (IFC). MPDF has a budget of US$25 million between 1997 and 2002, and is funded by the European Union, IFC and the governments of Australia, Finland, Japan, Norway, Sweden, Switzerland, and the United Kingdom (IFC www 1). MPDF produced a study of Burapha’s eucalyptus project, and according to IFC, “MPDF played a key role in packaging the deal and getting IKEA and Swedfund on board” (IFC www 1). Sumphorn Manodham, managing director of Burapha, points out how important MPDF’s involvement was for Burapha: “We do not think we could have arranged the financing without MPDF, and the proof is that after the MPDF study, the same financiers that were reluctant are now providing funds” (IFC www 1). The timber for Burapha’s new factory will come from Burapha’s 1,200 hectares of Eucalyptus camaldulensis plantations. Burapha’s publicity materials claim that the factory will bring “beautiful hardwoods” to “discerning world markets without devastating the natural tropical forests”. However, while IKEA has found a new source of cheap timber, with or without Burapha’s factory project the logging of Laos’ forests continues. According to a representative of Burapha, the land used for Burapha’s plantations at the Nabong farm was once a Cuban-funded farm and later the site of a FAO-funded project. After 1975, the area became a re-education camp and the top-soil was removed. Burapha claims therefore that planting eucalyptus in this area is an improvement. Another Burapha employee, writing in 1995, stated that “In the past, out company has faced many difficulties when requesting land. Some officials believed that out plantations would destroy soil fertility, thus they hesitated to co-operate and issue the authorisation for use of the land” (Sonesack 1995: 71). This implies a more complex situation than simply “improving” land without topsoil. Brierley was founded in New Zealand in 1961 by Sir Ronald Brierley (BIL www 1). Initially the company bought shareholdings in public companies in Australia and New Zealand. By the 1980s Brierley had shareholdings in over 300 companies (BIL www 1). Between 1993 and 1996 Brierley invested US$235 million in Asia, in power projects in India, Indonesia and the Philippines, agribusiness in Thailand, and property and infrastructure in China (TimesNet Asia 1996). Brierley employs 5,300 people and invests in energy, oil, engineering, construction and property, wholesale and retail and others (including forestry) (Wright www 4). In 1996 a Malaysian, Singaporean and Indonesian consortium bought 20% of Brierley at a price of US$692 million. The group consists of Hong Leong (Singapore), Hong Leong (Malaysia), Sembawang Corp (Singapore), Haw Par Brothers International (Singapore) and the Salim Group (Indonesia) (TimesNet Asia 1996). After the Asian economic crisis in 1997 the Board initiated a review of corporate philosophy and investment strategy. Several investments were disposed of and bank debt was reduced (BIL www 1). On 1 December 1999 Brierley relocated its global headquarters to Singapore. The company is listed on the Singapore, New Zealand, Australian and UK stock exchanges. Since December 1999 the company has been registered in Bermuda (BIL www 1). Key investments include a 46% holding in the UK hotel group Thistle hotels plc (the largest hotel operator in London); a 30.3% shareholding Air New Zealand; and a 28% shareholding in James Hardie Industries (a global leader in fibre cement building products and systems) (BIL www 1). In its 1999 Interim report to shareholders BIL reported that the last 12 months “have probably been the most difficult in the Company’s history. The dramatic decline in asset values, initially triggered by the Asian economic crisis, was the catalyst for significant structural change to BIL” (BIL www 1). Brierley was part of the consortium that bought the New Zealand Forestry Corporation in 1996 after it was privatised by the New Zealand government. The consortium consisted of Fletcher Challenge Forests (part of Fletcher Challenge Limited, a New Zealand-based international company, with operations in building, energy and forestry: 37.5 per cent), Citifor Limited (a subsidiary of the government-owned China International Trust and Investment Corporation: 37.5 per cent) and Brierley Investment Limited (25 per cent). The consortium paid approximately US$1.7 billion, (Stride 2000) and renamed it the Central North Island Forest Partnership (CNIFP) (Fletcher Challenge 1998). The CNIFP owns the cutting rights for 168,000 hectares of Radiata pine and douglas fir plantations. Adjacent to this area is 117,000 hectares of plantations owned by Fletcher Challenge, forming the largest single Radiata pine plantation in the world. Fletcher Challenge has integrated the management of the two plantations areas, laying off 120 staff in the process. According to Fletcher Challenge, the two areas together can produce six million cubic metres of wood per year (Fletcher Challenge 1998). The Asian financial crisis of 1997 prompted a drop in log prices and severely cut into the NZ forestry asset’s value (Stride 2000). In late 1998 Brierley decided to sell its investment in the CNIFP, resulting in a loss of approximately US$74 million (BIL www 1). In 1999 Brierley reported a loss of US$80 million for the six months to 31 December 1998. In the six month period Brierley sold 24 of 59 assets it held on 30 June 1998. Most of the loss was as a result of the sale of CNIFP (FEER 1999). The remaining partners in the CNIFP, Citic and Fletcher Forests, have huge debts and had to meet a deadline of 30 December 2000 to inject several hundred million dollars, otherwise the banks threatened to take over the forestry estate (Stride 2000). The company is presently in receivership and for sale (Rosoman forthcoming). Brierley and International Paper jointly run Carter Holt Harvey which has pine plantations in Chile and in New Zealand (Carrere and Lohmann 1996: 88). At the end of 1999, Carter Hold Harvey sold its interest in Compania de Petroleos de Chile (Copec) the main part of the company’s operations in Chile. The sale was to AntarChile a company controlled by the Angelini Group (CHC 1999). Brierley’s Investment Review 1997 lists a number of projects in the forestry sector in Thailand and Laos, through the Thailand-based investment company, GF-Brierley. In November 1997, Brierley held 50 per cent of the GF-Brierley’s shares. GF-Brierley was a joint venture between Brierley and Thailand-based General Finance and Securities Public Company (BIL www 1). GF-Brierley had a 22 per cent in Asia Tech Group, 38.6 per cent per cent of ATP, a pulp and paper development project, and a 30 per cent interest in BGA Laos, a tree plantation development project in Laos (BIL www 1). ADB (1989) Technical Assistance to Lao People’s Democratic Republic for second forestry development project. Manila: Asian Development Bank. 28 December 1989. ADB (1994) Background Information and Terms of Referece T.A. NO. 2028-LAO Institutional Support to the Department of Forestry. Manila: Asian Development Bank. ADB (1999) Landmark Agreement Eases Traffic Between Thailand, Lao PDR and Viet Nam. News Release No. 116/99, 22 November 1999. ADB (www 1) Confidentiality and Disclosure of Information Policy. Asian Development Bank. AI (2001) Laos. Amnesty International report 2001. Anon (1991) Forest Management and Conservation Project Legal framework – current forest law and requirements, Annex 2, October 1991. Anon (1992) The Proposed Forest Management and Conservation Project (FMCP) in Lao PDR, Notes for Discussion, November 1992. Anon (2000) Aspects of forestry management in the Lao PDR. Watershed, Vol. 5 No. 3, March – June 2000: 57-64. Associated Press (2001) Vietnam invited to join plan for Thai-Laos bridge. Associated Press. 9 April 2001. Bannan, K. J. (1995) Pre-feasibility Report on a Softwood Plantation Project on The Bolovens Plateau Champasak Province Southern Laos. Prepared for Asia Tech Company. Rotorua: Forenco Consultants Ltd. March 1995. BGA (no date) BGA Lao Plantation Forestry Ltd. BGA publicity brochure. BIL (www 1) Brierley Investments Limited. Bounphom Mounda (1993) Eucalyptus in Laos. Presentation at the Regional Expert Consultation on Eucaplyptus, Bangkok 4-8 October 1993. Bangkok: Food and Agriculture Organisation. Brandmaier, F. (2001) Laos: Growing foreign aid, but investors run away. Deitsche Presse-Agentur. 16 January 2001. Cameron, D. M., H. Miyazono and F. Danborg (1995) Strengthening re-afforestation programmes in Laos. In FAO (1995): 17-26. Carrere, R. and L. Lohmann (1996) Pulping the South. Industrial Tree Plantations and the World Paper Economy. London and New Jersey: Zed Books and World Rainforest Movement. CHC (1999) Carter Holt Harvey to realise NZ$2.5 billion from Chilean Investments. Carter Holt Harvey Press release. 20 December 1999. Development Today (1994) The Finnish Company Jaakko Poyry defends new involvement in Lao forestry projects, Stockholm: Development Today, Vol. IV, no. 20, 21 November 1994. Douangphet Rattanasouk (1995) Research activities of Nam Souang Silvicultural Research Centre. In FAO (1995). 27-30. FAO (1995) National Workshop on “Strengthening Re-afforestation Programmes in Lao PDR”. Vientiane 19-21 June 1995. Rome: Food and Agriculture Organisation. FAO (www 2) Laos. Description of plantation resources. Food and Agriculture Organisation of the United Nations. FEER (1999) New Zealand. Far Eastern Economic Review, 18 March 1999. Fletcher Challenge (1998) Fletcher Challenge Annual Report 1997. Fortech (1999) Current Constraints Affecting State and Private Investments in Industrial Tree Plantations in the Lao PDR. Manilla: Asian Development Bank. IFC (www 1) And in Vientiane. International Finance Corporation. ISO/Swedforest (1991) Approach to Consulting services for Technical Assistance and Management Support, The Lao-Swedish Forestry Cooperation Programme 1991-1995, ISO/Swedforest September 1991. Jaakko Poyry (1995a) Decree 186/PM. Lao-ADB Plantation Forestry Project. Asian Development Bank Project Technical Assistance T.A. No. 2028 – LAO. Jaakko Poyry (1995b) Institutional strengthening to the DOF Lao PDR. Socio-Technical Profiles (STP), Benefit Monitoring and Evaluation (BME) for Plantation Development in Lao PDR. Working Paper no. 9. Lao-ADB Plantation Forestry Project. Asian Development Bank Porject Technical Assistance T.A. No. 2028 – LAO. KPL (2000) 16 Foreign Investors To Laos In 2000. KPL news agency. KPL (2001b) Paper Mill Stinks. KPL news agency. 15 February 2001. Lao Embassy (1997) Forest Plantation in Khammouane and Bolikhamxay. News Bulletin. Embassy of the Lao PDR, Washington, May – June 1997. Lao Embassy (2000) National Route 9 Upgrade. News Bulletin of the Lao Embassy, Washington, January – February, 2000. Monbiot, G. (2001) Dig up the roads. The Guardian. 29 May 2001. Mossberg, C. (2000) Interview with Chris Lang. 6 November 2000. MPDF (www 1) Public Disclosure. Mekong Project Development Facility. Narongchai Akrasanee (2001) Re: Request for information. E-mail to Chris Lang. 27 September 2001. Pinyopusarerk, K. and F. Chandler (1993) ACIAR Forestry Research in Laos. ACIAR Forestry Newsletter, no 15. February 1993. Piyanart Srivalo (2001) Chavalit ‘approves Mekong bridge’. The Nation. 14 March 2001. PPI (1996) Laos may get pulp mill. Pulp and Paper International. 28 October 1996. PPI (1999) Annual Review 1997-98 The World’s Pulp, Paper and Board Industry. Pulp and Paper International Online edition July 1999. Rajesh, N. (2000) Laos stops World Bank forestry programme. World Rainforest Movement Bulletin, no. 41, December 2000. Rosoman, G. (forthcoming) Scientific Forestry Systems (SCS) and their certification of Fletcher Challenge plantations in New Zealand. 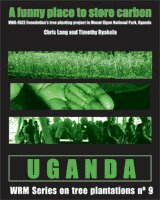 Forthcoming Rainforest Foundation report. Ryder, G. (1996) The Political Ecology of Hydropower Development in the Lao People’s Democratic Republic. 13 December 1996. Saravanamuttu Muttiah (no date) Lao-ADB Forestry Development Project (261 SF). Draft Final Report on Nursery and Reforestation Component. Resources Development Consultants Limited, Sri Lanka. Manilla: Asian Development Bank. Sahni, S. (2001) Re: Request for Lao report. E-mail to Chris Lang. 21 June 2001. Asian Development Bank. Sonesack (1995) Tree planting activities of the Bourapha company. In FAO (1995): 70-72. Stride, N. (2000) The Dragon and the Lion: Bank deadline looms in Citic deal. The National Business Review, 17 November 2000. Thongleua Southavilay and T. Castren (1998) Timber Trade and Wood Flow-Study. Lao PDR. Poverty Reduction and Environmental Management in Remote Greater Mekong Subregion (GMS) Watersheds Project. Manilla: Asian Development Bank. TimesNet Asia (1996) New Zealand’s investments in Asia. TimesNet Asia, 21 June 1996. Watershed (1996a) “Promoting the plantation of economic trees,” Asia Tech in Laos. Watershed, Vol. 2, No. 1, July – October 1996. Watershed (1998b) “Phoenix pulp mill: The polluter pays?” Watershed, Vol. 4, No. 2, November 1998 – February 1999: 52-57. Wright (www 4) Brierley Investments Limited. Wright Investors’ Service. Xeme Samontry (1995) The Lao-ADB Plantation Forestry Project. In FAO (1995): 78-83.